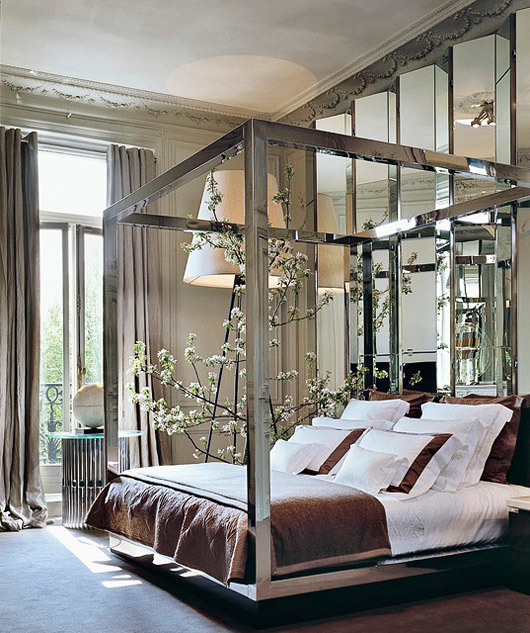 Mix and Chic: Contemporary and gorgeous four poster bed inspirations. Contemporary and gorgeous four poster bed inspirations. A dramatic baroque style four poster bed with a modern interpretation becomes an instant focal point blending seamlessly in a casual and contemporary bedroom. In a bedroom filled with prominent pieces like an oversized floor lamp and a wall of mirrored room divider, a sleek and gorgeous modern chrome finished four poster bed still made a bold statement with its dramatic presence in the space. A simple and contemporary white four poster bed becomes a natural focal point and immediately grounds the bedroom amidst a busy patterned quatrefoil trellis area rug and a textured pin tuck bedding. A simple and delicate white poster bed exudes casualness with a sense of understated elegance when paired with light and neutral bedding and furnishings. Paired with textured white pillows and matching duvet, a contemporary four poster bed looks stately and magnificent against an exposed brick wall. A white four poster bed looks charming and feminine with the addition of a ruffled pendant lamp and a throw with knotted fringe. 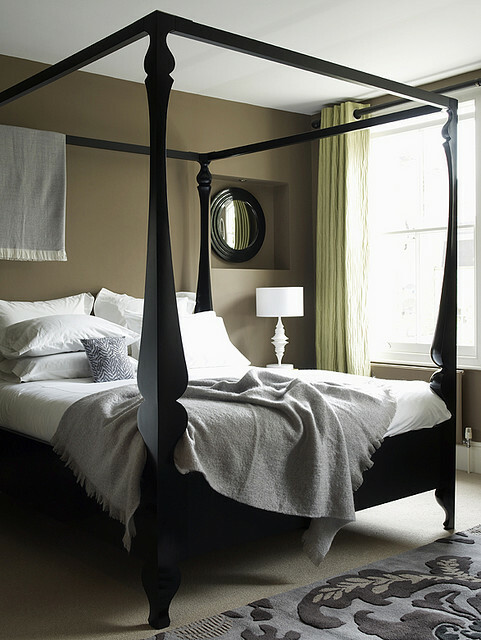 A modern four poster bed looks stately and elegant in a gorgeous and polished bedroom filled with a few well chosen furniture pieces and accessories. 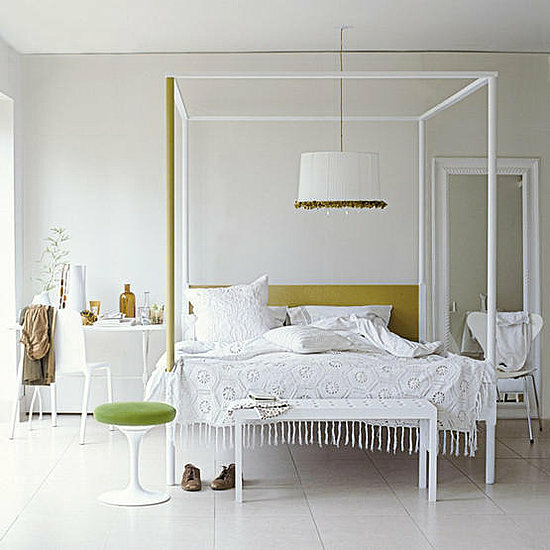 A substantial and contemporary four poster bed exudes beauty and presence in a bright and airy, all white bedroom. Do you have sources for the beds? I'll like to know where they can be purchased! I may not have the sources for all beds but I will jot down what I know.